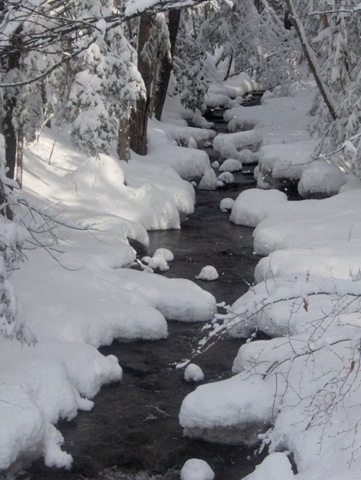 SULLIVAN COUNTY, NY (December 21, 2014) – The Sullivan County Visitors Association is hosting its second online photo contest, this time centered on the region’s beauty during the winter season. The SCVA’s first contest, which focused on Fall Foliage, resulted in more than 1,000 votes cast for 174 photos submitted by 91 photographers. “We want to carry that creative spark forward into the winter by encouraging people to take pictures at the ski slope or snap a shot of friends by a roaring fire,” said Roberta Byron-Lockwood, SCVA president. To make submissions easier, the SCVA has included including both Twitter and Instagram. Users can simply post their photo with the hashtag #SCWinterWonderland and include the details regarding where the image was taken. Submissions are also being accepted through the SCVA’s Facebook page www.facebook.com/SullivanCountyCatskills) and the website (www.scva.net/winter-wonderland-contest). The Winter Wonderland Photo Contest runs through January 26, 2015 and winners will be announced on January 28. The photo with the most online votes will win one of several tourism-related prizes contributed from SCVA’s membership. Photographers may submit up to one photo per day. Contest sponsors include Watermark Communications radio stations WSUL and WVOS, Bethel Woods Center for the Arts, The Natural Contents Kitchen, and Sullivan County Farmers Markets. The SCVA has also created a digital Winter Wonderland Guide (www.scva.net/winter-wonderland), which provides info about lodging, dining, events, winter recreation, and other activities. SCVA members who are interested in contributing prizes for the Winter Wonderland Contest are asked to contact Phyllis Andrews at pla@scva.net as soon as possible.